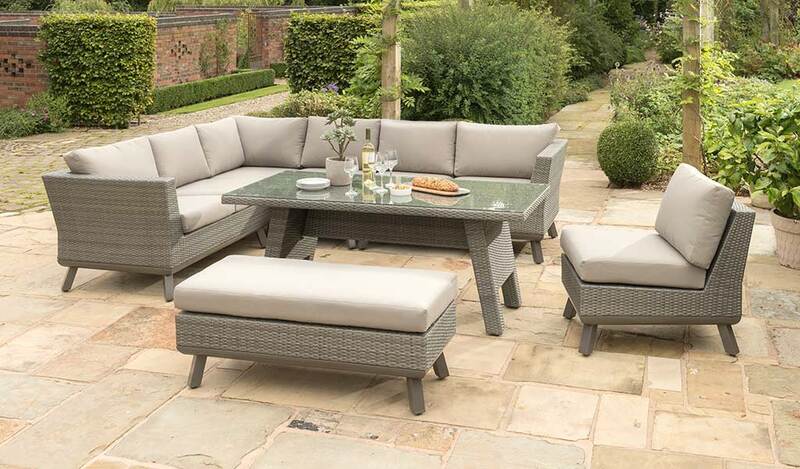 The Caleta Modular Set, from the popular Casual Dining garden furniture range, includes 2 side sofas and a corner sofa with cushions. The beautiful, handwoven, flat wicker comes in olive grey. 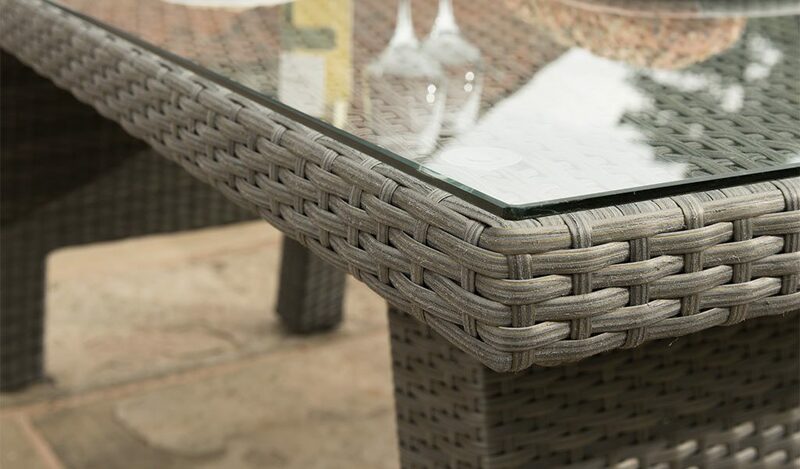 Our weatherproof, synthetic wicker lasts all year round and is handwoven over a tough, aluminium frame. Two table sizes and a side chair are sold separately. 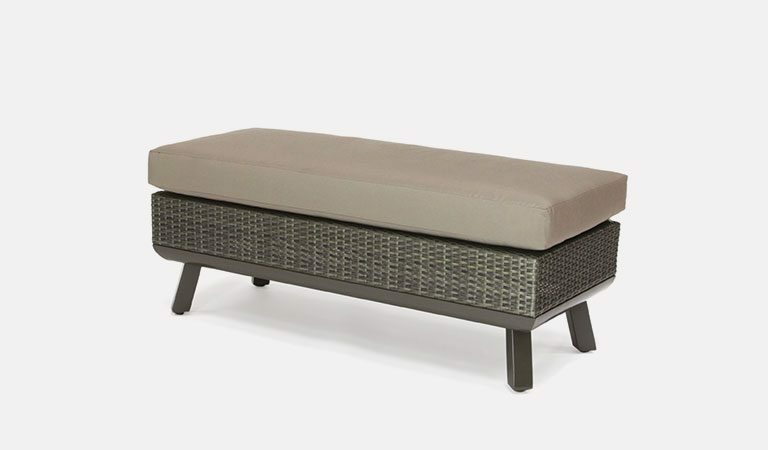 The Caleta Modular corner set provides comfort for all the family while you dine outdoors. Host a dinner for the family or relax with a loved one on a soft, modular, outdoor sofa. Caleta garden furniture adapts to the space in your garden. The Caleta Modular Sofa includes a contemporary style with kick out legs and big cushions. 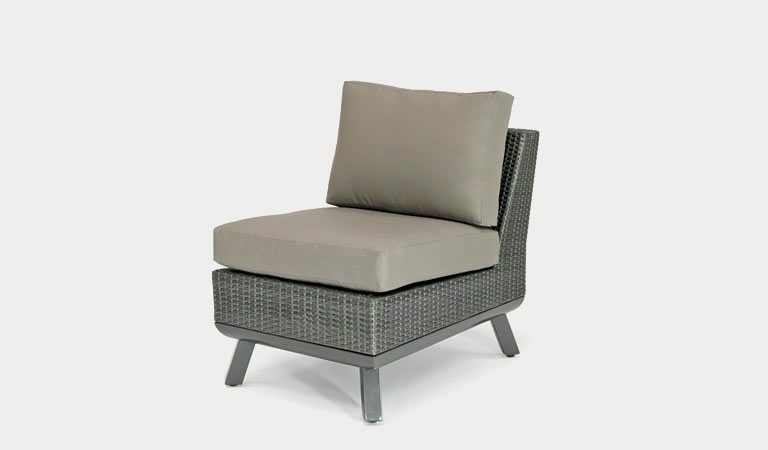 The seat and back cushions are extremely comfy, allowing you to relax outdoors or dine in the garden. 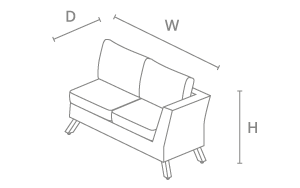 The set includes 2 sofas and a corner section. A Caleta Side Chair is sold separately and can go between the sofa and corner section to extend a side of the furniture. 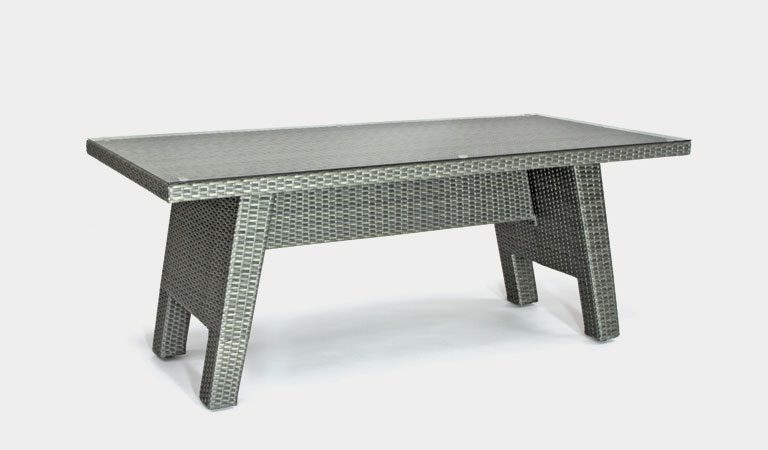 Mix and match with either the 120x80cm Caleta Table or 170x80cm Caleta Table to create the perfect outdoor dining set. The Caleta set gives you the freedom to create the perfect patio set for you. 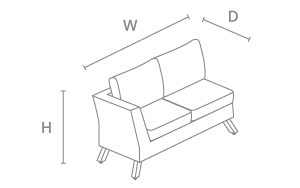 Place the sofa and accessories how you want them, then sit back and enjoy the best of times. 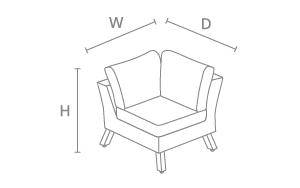 Set includes 2 sofas and 1 corner section. 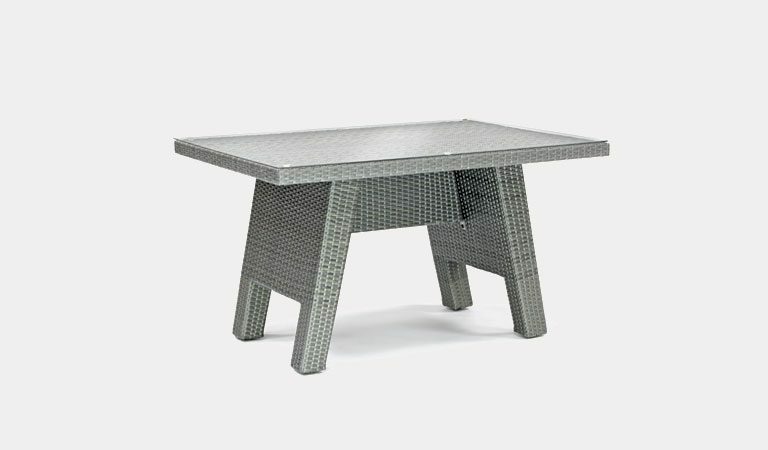 Material: Aluminium legs and frame with 7mm flat, synthetic wicker. 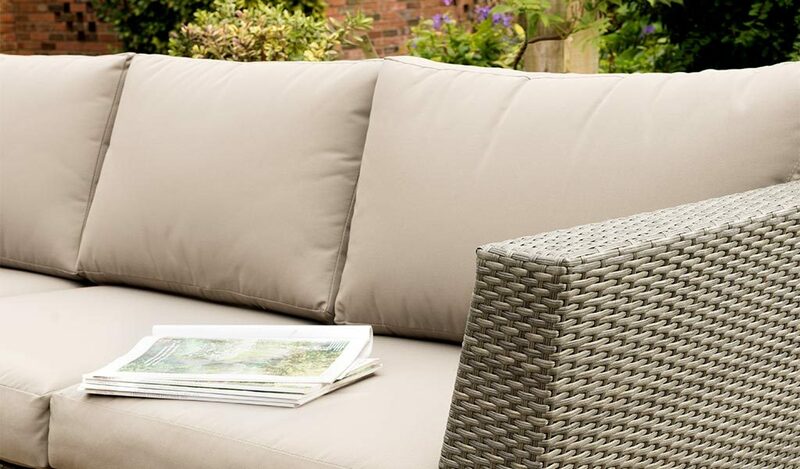 Weatherproof, UV resistant wicker – year round protection (excluding cushions). 5cm foam core seat cushions. Double piped back cushions for additional support. More from Casual Dining here.